Slipped stitches, garter stitch, and three shades of Berroco Brielle create this plaid-inspired wrap. Colors Shown: Berroco Brielle (50 grs): 5 hanks #6540 Vert (MC), 1 hank #6527 Bleu (CC1), and #6534 Noir (CC2). Finished measurements : Approximately 19" wide x 56" long (not including fringe, after blocking). Malabrigo Book 05: In Soho Patterns - West Broadway - PDF DOWNLOAD is a similar pattern: 17 (4.25 sts. / inch) finished gauge, for women, and heavy worsted/aran (16-18 sts/4 in) yarn gauge. You may also like Blue Sky Fibers The Classic Series Patterns - Caledonia Cowl - PDF DOWNLOAD, which is another similar pattern: shawls, wraps, ponchos garment, for women, and heavy worsted/aran (16-18 sts/4 in) yarn gauge. 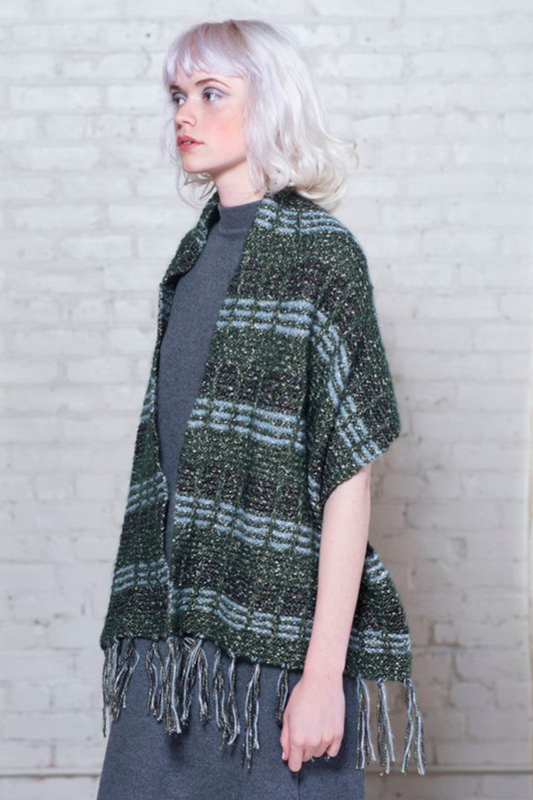 You may enjoy taking a look at the , and Berroco Brielle Gardon Shawl kits all using Berroco Booklet 399 Brielle Patterns. Hopefully our suggested yarn options for Yonne - PDF DOWNLOAD can help you come up with your next exciting new project idea!